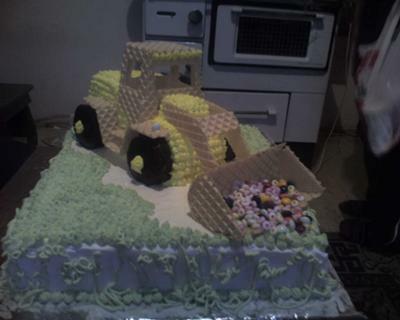 This bulldozer cake looks fantastic, but unfortunately, no description of how it was made was submitted with the cake. It is such a fantastic looking cake though, that it is well worth adding it to the site for others to see! I am sure that any little boy would love to have this bulldozer cake as his birthday cake. Very creative!